Back in 2002, Hall of Famer Pat Lafontaine felt Eric Lindros' pain when it came to post-concussion symptoms. He penned a column offering some words of support. 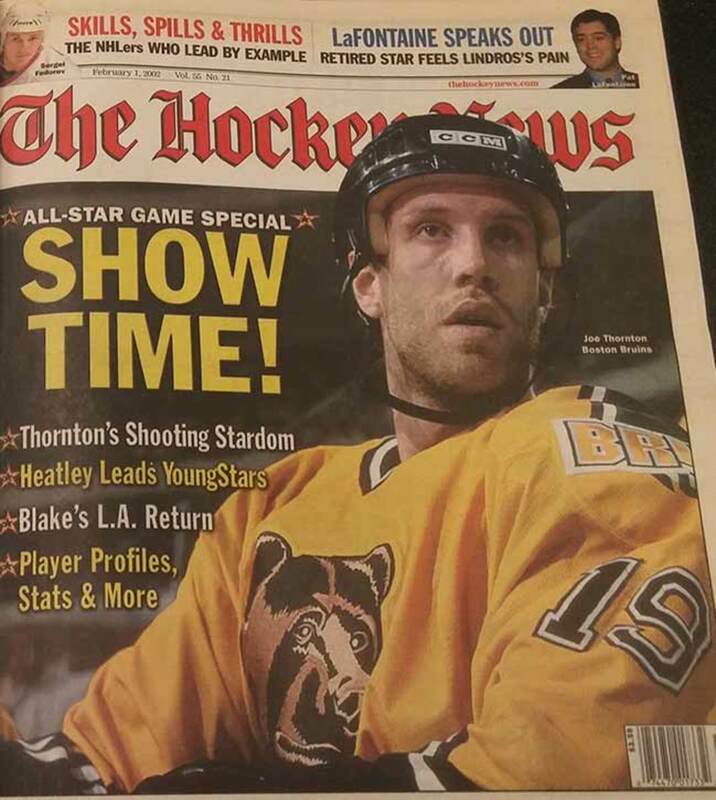 Welcome back to Throwback Thursday, where we comb the THN archives to bring you something from our past. This week, a guest column from Hall of Famer Pat Lafontaine. Lafontaine retired in 1998 after a career-ending concussion and here he writes about his own experiences, as well as offering words of advice for Eric Lindros, who was just returning to the ice after taking time off recovering from concussion symptoms. When Eric Lindros missed four games with a concussion this season, it brought it all back for me – the dizziness, the headaches, the fatigue. Post-concussion is a scary place to be. You wonder how long it will take to recover, whether this is the one that will push you over the edge. I wish it on no one. Fortunately, Eric made it back quickly and that’s great. I’m thrilled he has returned as a top-flight player. I don’t question his decision or his right to do so at all. He consulted with world-class doctors and if they have cleared him to play, then as much as anyone can tell, he’s not putting his long-term health in jeopardy. I think I can offer perspective and can identify with what Eric has gone through. I took almost a full year off after suffering a concussion with Buffalo in October, 1996. After training extensively and consulting with several specialists, I returned with the Rangers the next season and had a wonderful time. I know I would have had regrets if I hadn’t tried to come back. But yes, concussions got me in the end. It was tough to accept when I had to retire. In March, 1998, I had another concussion after a fluky collision with my teammate Mike Keane. It wasn’t a hard hit, but the symptoms came back and took longer to disappear. I waited until August before making my decision, but the doctors effectively made it for me. I knew it was time: even at my press conference, five months after the hit, I wasn’t quite myself. This is where a strong support group becomes imperative. Every instinct tells you that you “owe it to your team” to get back on the ice. And you want to prove to yourself and your recuperative powers remain strong. Yet, there’s lingering doubt in your decision making process, because it’s your brain that sustained the injury. That’s when the advice and recommendations of a competent medical staff and physicians become so important. There’s also a key difference between my scenario and Eric’s. I played in the NHL for 15 years and was 33 when I called it quits. Eric is 28. I can only imagine how hard it must be to contemplate giving up the game when you’re in your prime. I hope Eric doesn’t have to. I hope he can play another eight years concussion-free. But let’s be honest- the odds aren’t in his favor. One concussion increases the likelihood of having another four-fold. After two, who knows what the odds are? Brain-injury research proceeds slowly; long-term effects aren’t clearly documented. What I can say for sure is there is life after hockey. I keep busy with a home-renovation business and do charity work. I get to see my three children grow up and enjoy sports. I’m an avid cyclist. I hit the road for two hours and work the same muscle groups as in hockey and I lose myself in thoughts. For the physical exertion, the challenge and mental escape, it’s the closest to competitive hockey I can come. My only regret from my career is I didn’t wear a mouthguard until my final season. Mouthguards can’t prevent concussions, but they can mitigate their severity. When I tried a mouthguard earlier in my career, I found it uncomfortable. If I had to do it all over, I’d force myself to get used to it. Install a four-point locking system on your helmet chin-strap. When I was hit in 1996, my helmet came off even though I had the chin-strap done up tight. My forehead hit the ice. I’m convinced with a four-point system as used on many bike helmets, the helmet would have stayed on. NHL players should remember that a good pro career might only be one-sixth or one-seventh of their life. There’s too much to do to take unnecessary chances. I was talking to former New York Giant Harry Carson recently. He retired from the NFL in 1988 and still has some memory blackouts because of repeated concussions. It took Jeff Beukeboom a few years to recover. It has taken Al Toon, the Jets receiver, a long time too. From where I sit, concussion prevention should be a top priority. Accidents and clean collisions will happen, but no one should have to leave the game they love simply because their equipment wasn’t securely fastened. Additionally, infractions to the head and neck areas should be punished severely. Five- and eight game suspensions won’t do it. There is too much at risk to take these matters lightly. Concussion prevention isn’t important just to protect players NHL careers. it’s important to protect what comes after.